I just whipped up this last-minute father’s day present for my dad. 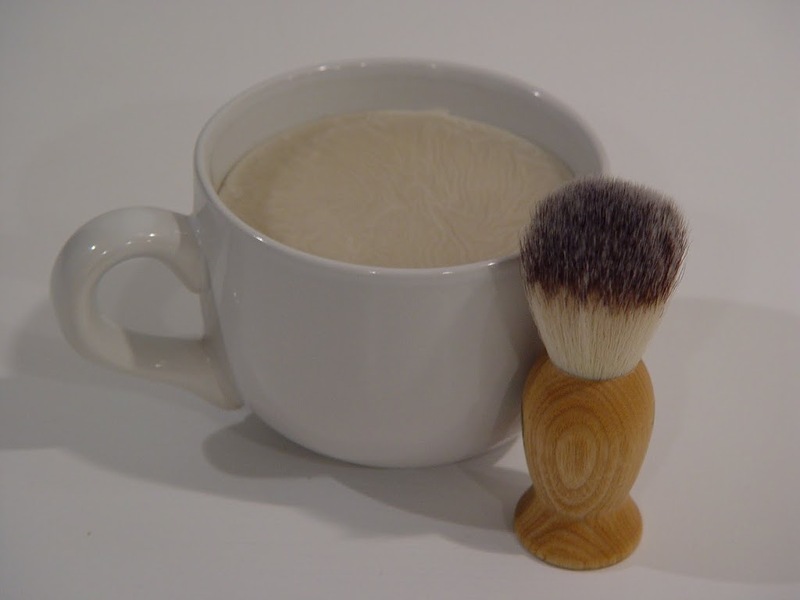 He loves to use shaving soap in a mug with a brush. So this is for him. I thought I’d share what I did. For those of you who have never made soap before, it’s super easy. 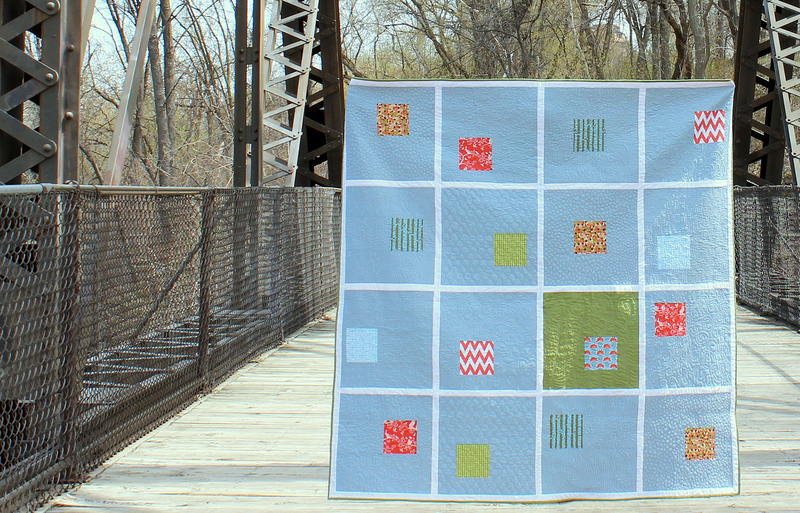 You can get this done in about 15 minutes (plus cooling time). So give it a try! Making soap from scratch is great, but you can get high quality “heat and pour” soup bases now and no one will ever know the difference (unless you tell them, of course). 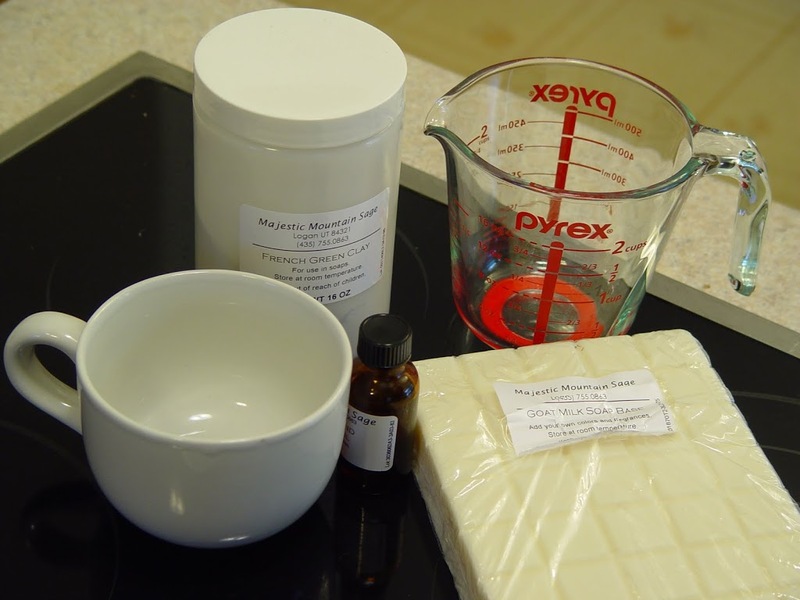 I got all of my ingredients from Majestic Mountain Sage which is a great online soap making resource. They have amazing products and I’m always pleased with them. I used their Goat Milk Soap Base and French Green Clay. 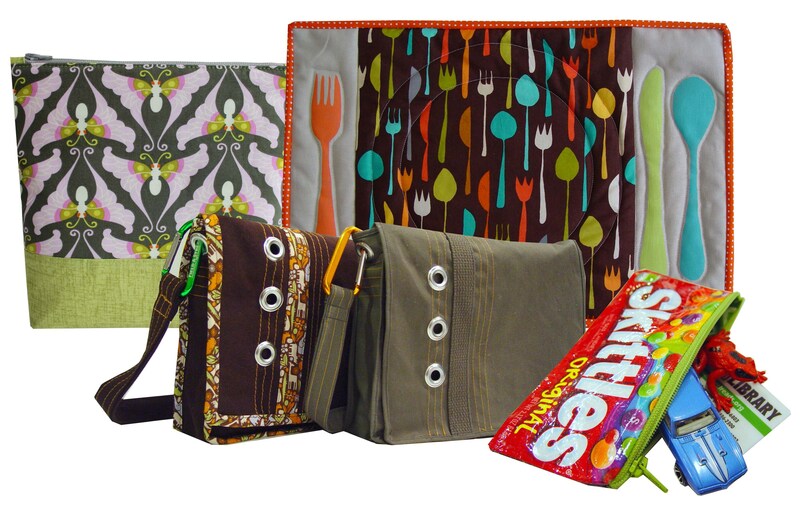 But you can find everything you need at Michaels, JoAnn, or other craft stores. 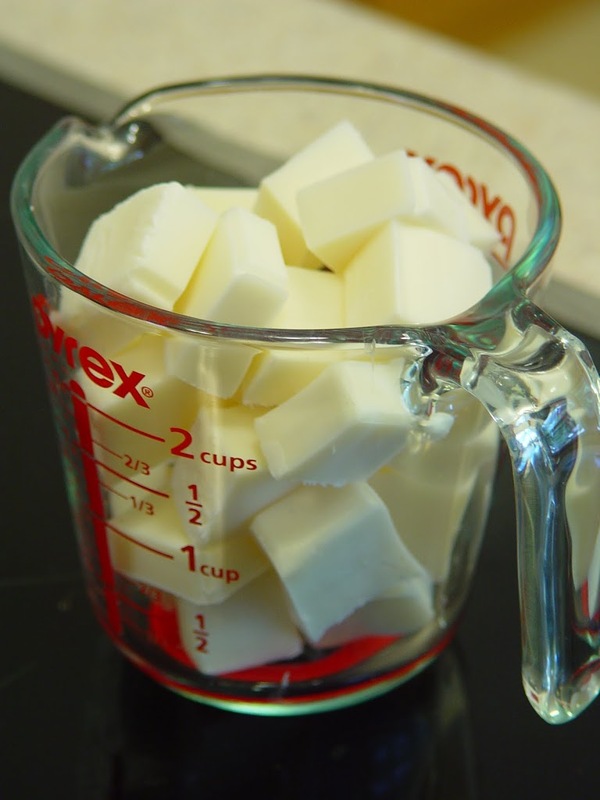 Cut up the soap base into small pieces and put it in your measuring cup. Start heating it up in the microwave. I did about 90 seconds to start. Stir. Continue to melt in 20 – 30 second increments, stopping after each to stir the soap. 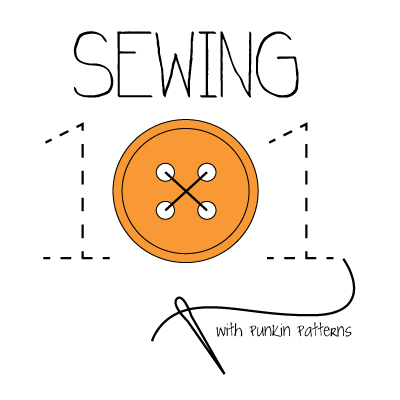 You want to get it to a nice smooth consistency (no lumps!). 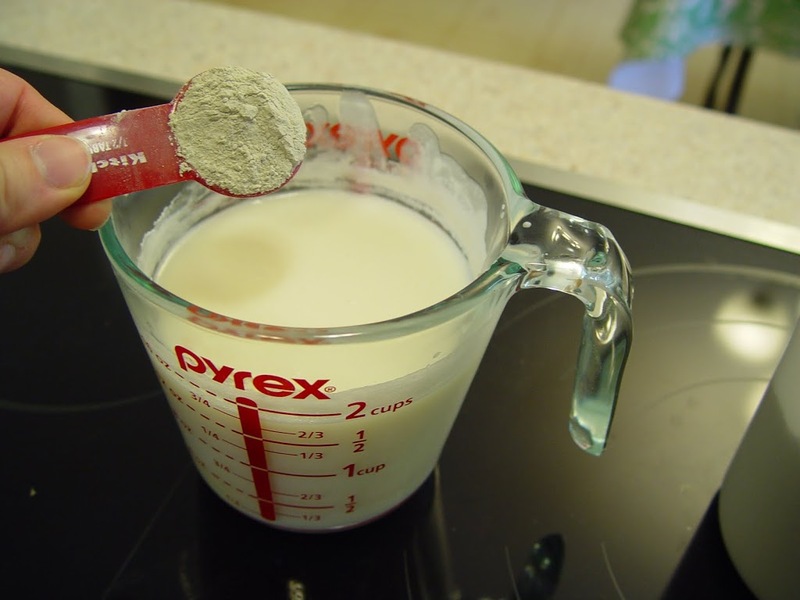 Add approximately 1 tablespoon of clay per 1 lb. of soap base. The clay helps the soap have that silky feel to it and it’s great for your skin. Stir well. 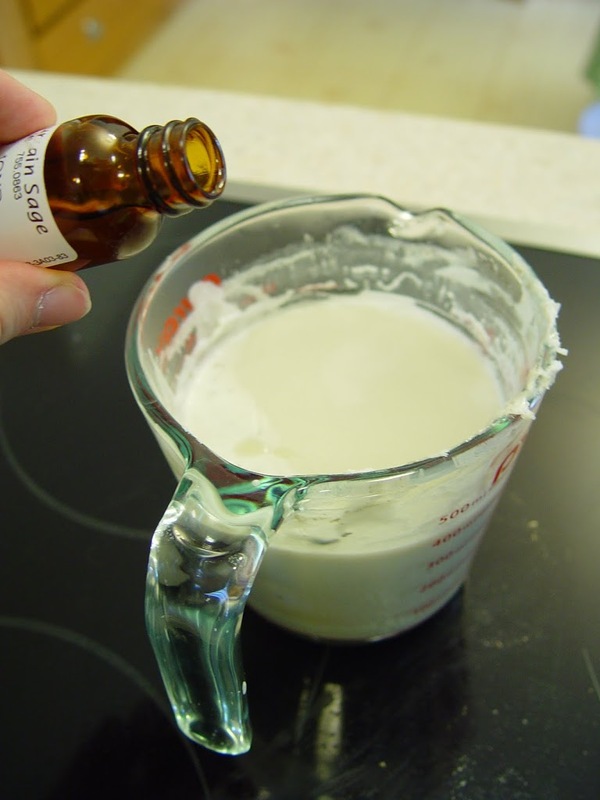 It may take a while to get this to incorporate and you may need to warm the soap up a bit to get them to mix completely. 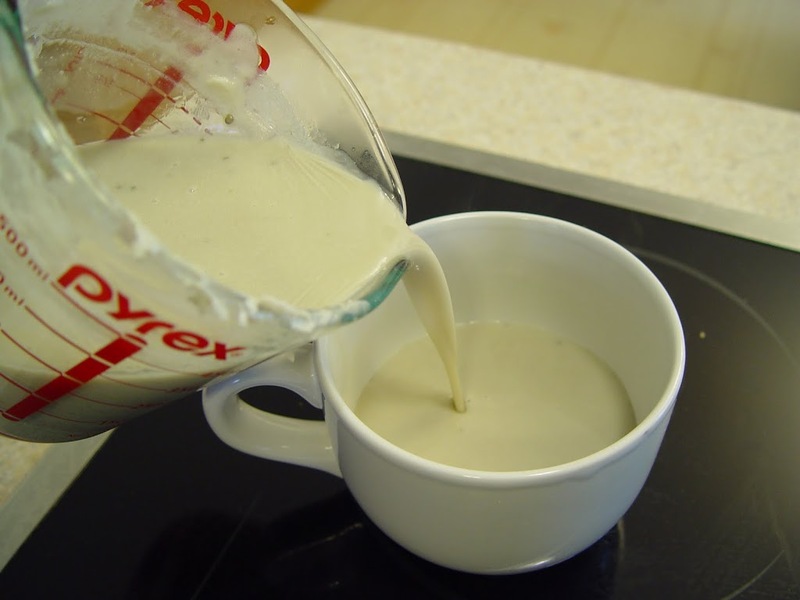 If you get a bit that seems like it just won’t mix in, grab a plastic spoon and skim it off the top. Add a few drops of fragrance oil (if you like). I used a honey almond fragrance. Very nice. Carefully pour your soap into your mug and let it cool. The surface hardens rather quickly, but it will take a couple of hours to completely cool (depending on how much you’ve made). Don’t forget your shaving brush. I picked up mine at The Body Shop for $11, but I’m sure you can find them at your local drug store too.